A research project in cartilage regeneration, in which the Unit of Biomaterials from the CIDETEC Institute for Nanomedicine participates together with nine other partners from seven countries, was recently financed by the European Commission with 5.5 million euro. 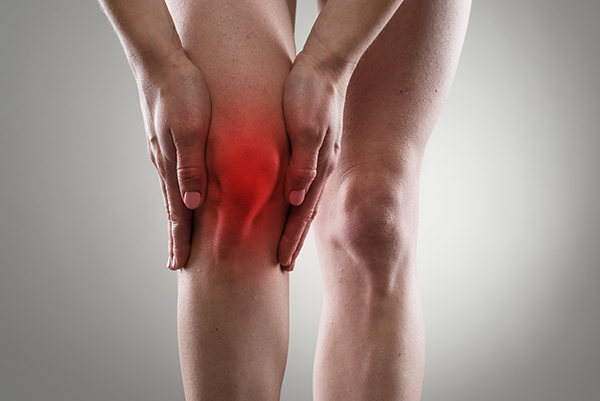 Named RESTORE, the project aims to create 3D matrices incorporating smart nanomaterials to repair knee cartilage lesions thereby reducing or delaying the onset of osteoarthritis, which currently affects 242 million people worldwide. These matrices, explains Meriem Lamghari, researcher at i3S and the coordinator of this European consortium, «are tailored so that they can be implanted and fill the injury site as well as respond to the knee joint mechanical forces. Moreover, they contain smart nanoparticles with regenerative, anti-inflammatory and anti-microbial properties. The nanoparticles with regenerative properties can, whenever necessary, be remotely activated with non-invasive methods». For that the project’s team will develop a knee brace equipped with sensors capable of activating the nanoparticles present in the implanted matrix». The work developed by the CIDETEC Institute for Nanomedicine’s team, who will receive around 554,375€, will concentrate on «developing smart nanobiomaterials to modulate inflammatory, cartilage extracellular matrix degradation and infection threats which will help tissue regeneration and patient’s healing », explains Dr Damien Dupin. RESTORE emerges following constructive discussions between orthopaedic surgeons, tissue engineers, materials researchers and cellular biologists to answer pressing clinical needs. Therefore, explains Meriem Lamghari, «we are proposing two matrices, one based on a polymer already clinically tested in the veterinary sector, namely in large animals, for large knee cartilage lesions; and another matrix generated using bioprinting technology, composed by cartilage cells of human origin to which we will also incorporate the smart nanoparticles. This matrix is more adequate for small lesions». This consortium, which will develop the project during the next 44 months with the participation of partners from Portugal, Italy, Germany, Iceland, Norway, Sweden and Finland, articulates with other European projects, including MIRACLE, centred in the diagnosis of the knee joint degeneration, and REFINE focused on the development of biosafety protocols for the use of nanotechnologies and nanomaterials in humans.